One Direction should have gone on stage to explain why they were cancelling a show, fans have said. Harry Styles said the boyband was "very sorry" for calling off Tuesday's show. 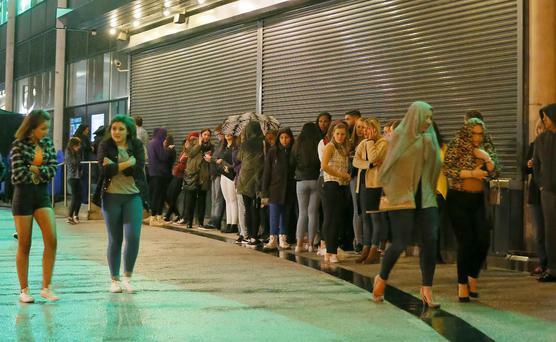 Excited teenagers and their mothers queued early at the SSE Arena in Belfast for tonight's gig. 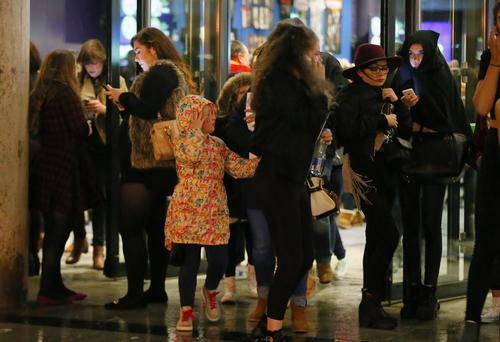 Leah McDonald, 15, from Belfast, claimed last night's ticket holders had been treated unfairly. "They could have come on stage themselves and cancelled it. They should have let fans know earlier than they did." She bought her tickets last Christmas but had been concerned tonight's performance would also be scrapped. "It was obviously very upsetting for fans, we were worried that this would be cancelled as well." 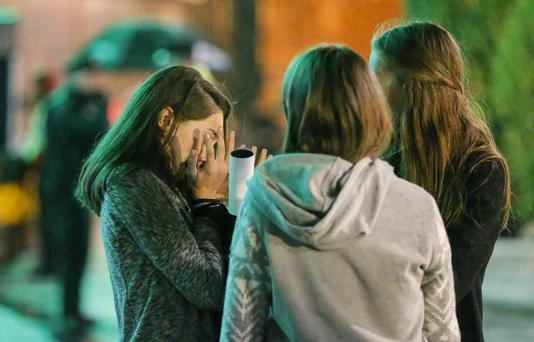 Olivia Rice, also aged 15, from Armagh, said the uncertainty had not ruined the excitement. She learned about last night's no-show through Facebook. "I thought it was a joke and went on Twitter and saw it was not a joke and saw a video of the man talking on stage so I thought tonight would be cancelled as well." 1D fans outside the SSE Arena, Belfast on Tuesday afternoon ahead of the gig. Picture by Kelvin Boyes / Press Eye. SSE Energisers along with 1D fans Cara Hannon, Michaela Gallagher, Hannah O'Donnell and Amy McGreevy prepare to electrify the SSE Arena, Belfast this afternoon ahead of tonight's concert. Picture by Kelvin Boyes / Press Eye. SSE Energisers along with 1D fans Marion Monteiro, Krouza Chalaris and Mathilde Gaillot prepare to electrify the SSE Arena, Belfast this afternoon ahead of tonight's concert. Picture by Kelvin Boyes / Press Eye. SSE Energisers along with 1D fans from Lisburn prepare to electrify the SSE Arena, Belfast this afternoon ahead of tonight's concert. Picture by Kelvin Boyes / Press Eye. SSE Energisers along with 1D fans Nikki Leendertsen, Chloe Zielinski, Manon Leyssen prepare to electrify the SSE Arena, Belfast this afternoon ahead of tonight's concert. Picture by Kelvin Boyes / Press Eye. SSE Energisers along with 1D fans Sylvana Ten Caat, Myan Whyatt and Loarena Whyatt prepare to electrify the SSE Arena, Belfast this afternoon ahead of tonight's concert. Picture by Kelvin Boyes / Press Eye. SSE Energiser Jennifer Evans along with 1D fans Emma Armstrong, Lauren McClatchey and Hannah Monaghan prepare to electrify the SSE Arena, Belfast this afternoon ahead of tonight's concert. Picture by Kelvin Boyes / Press Eye. SSE Energiser Lee Waring along with 1D fans Sarah Emerson and Louise Stafford prepare to electrify the SSE Arena, Belfast this afternoon ahead of tonight's concert. Picture by Kelvin Boyes / Press Eye. SSE Energiser Rebecca Ferris along with 1D fans Jess Wilson and Amy Wright prepare to electrify the SSE Arena, Belfast this afternoon ahead of tonight's concert. Picture by Kelvin Boyes / Press Eye. SSE Energisers along with 1D fans prepare to electrify the SSE Arena, Belfast this afternoon ahead of tonight's concert. Picture by Kelvin Boyes / Press Eye. 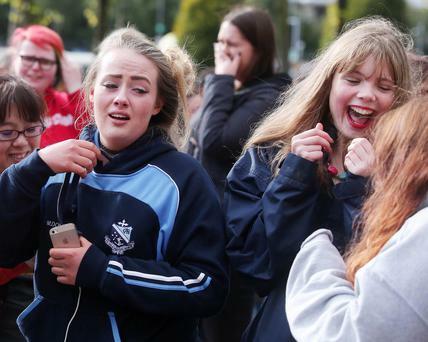 Pauline Ward, from Ballinamallard in Co Fermanagh in Northern Ireland's west, brought her daughter and said they were regular attenders at One Direction concerts. "I just like their energy and songs and music, they seem lovely boys." She said rumours had circulated about the reasons for the cancellation and she had also feared the worst for tonight's gig. "It was a long time before we found out if we were going to go tonight. I was sitting at work on tenterhooks, it was a bit annoying, how long does it take to make a decision that the concerts are going ahead?" She said she was disappointed for ticket holders last night. "Hearing of other families who have travelled from Holland, France, places like that, that have lost all that money, that have cost all that money, the expense of driving up, it is terrible." I'm so sorry to everybody I disappointed last night. I'm feeling better now. I really hope everyone can make the rescheduled date on Friday. Beyonce’s critically acclaimed concept album Lemonade has arrived on Spotify and Apple Music, three years after its original release. Billie Eilish is being given a bigger Glastonbury slot because she has become such a big star, the festival’s organiser has said. Ariana Grande has thanked Justin Bieber for joining her for a surprise duet at Coachella, saying his performance was “the dopamine we be needing”. Kim Kardashian West has said she is proud of husband Kanye West for following his heart after the rapper took his Sunday Service to Coachella.